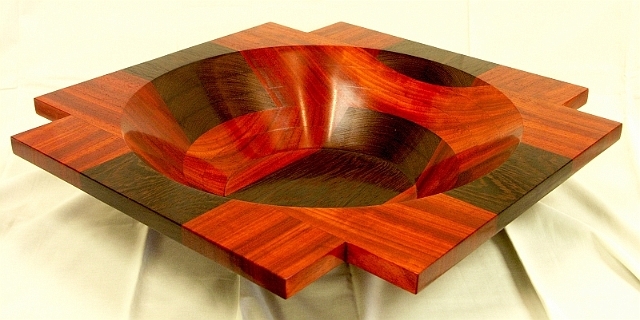 Mark Placek's Square Exotic Wooden Bowl Gallery of Niagara Falls, USA. 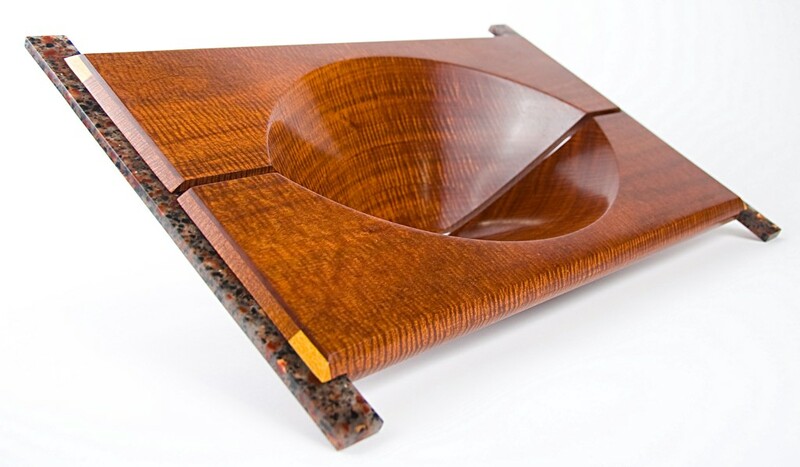 Using some of the finest exotic wood available, such as: Zebrawood, Padauk, Wenge, Canarywood and Bubinga. 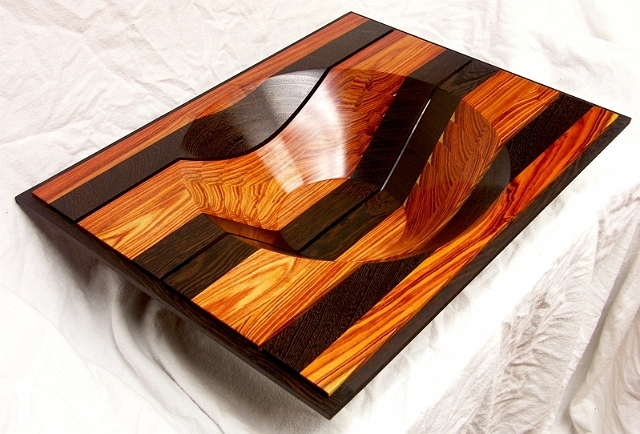 Mark creates striking and distinctive presentation pieces. Mark's a self-taught lathe artist; from an early age becoming a carpenter was the natural choice. Learning the proper use of hand tools during his apprenticeship plays a key role in the making of his bowls today. Working endlessly to design and produce turned vessels that appeal to everyone. Look for more innovative designs from him in the future. I have decided to donate my bowls to deserving local charities. Make-A-Wish Foundation of Western New York was the first. Donating my artwork gives me great satisfaction, I gain inspiration knowing that my artwork will help others. Children's charities will be my first priority. Getting to know the people associated with each charity has been a pleasurable experience for me. 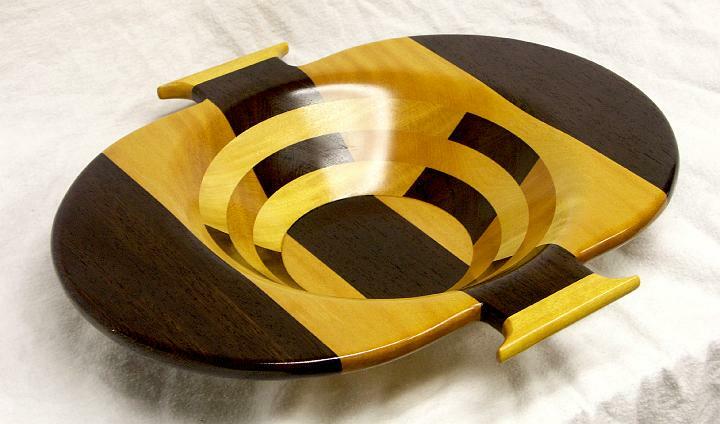 I will be donating a bowl to the St. Francis Guild of St. Mount Mary's Hospital for their 31st. annual Pink Elephant Luncheon and Auction, to be held Saturday, Oct. 29, 2011 at the Niagara Falls Country Club.